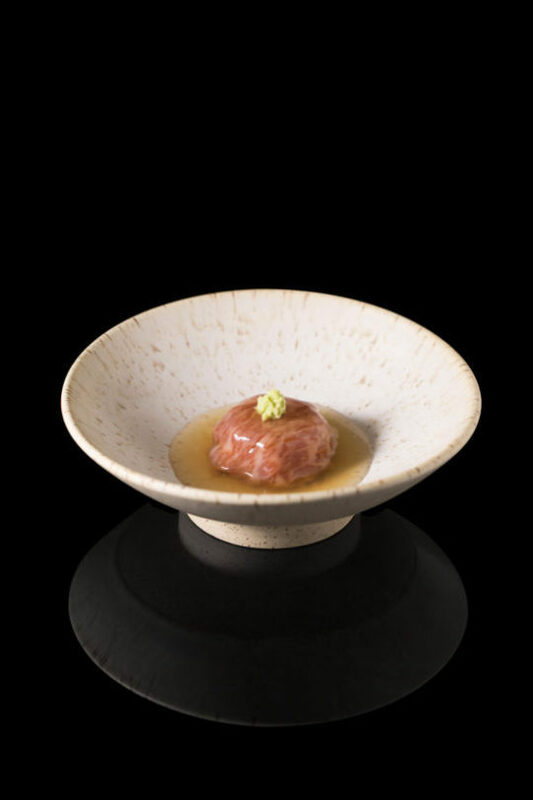 Zaiyu Hasegawa is the chef/owner of two Michelin star DEN restaurant in Jingumae Tokyo. Can you tell us where you grow up and how you became interested in food? 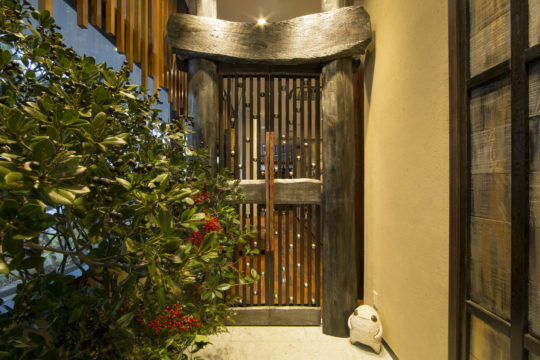 When I was a child, my mother worked as a geisha at a ryōtei (high end Japanese restaurant). 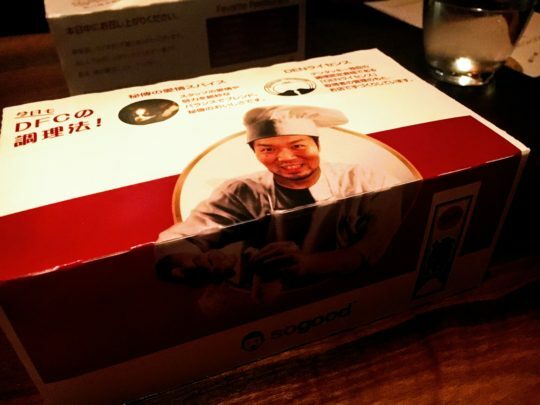 When I ate the bento and some food that my mother brought back for me, I wanted to be a chef to make delicious dishes as well since then. After graduating high school, I received training at a ryōtei called Kagurazaka Uwoto Ku from the age of 18. 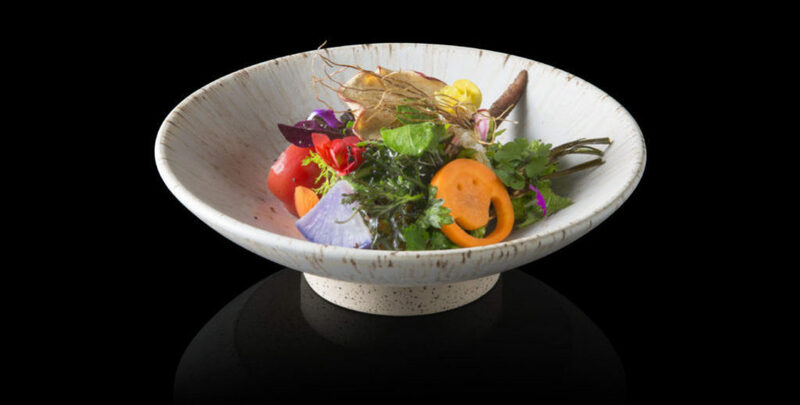 I acquired experience in the other various restaurants with a focus on appreciating the value of Japanese tradition to incorporate excellent ingredients, the four seasons and unique Japanese culture. 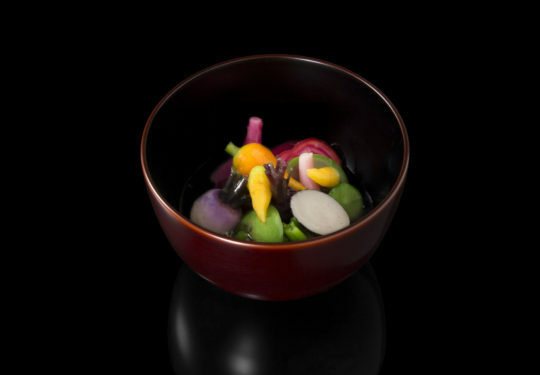 Ultimately working to introduce a new form of Japanese cuisine that is different from the original Japanese style. You were only 29 years old when Den Opened? How did the concept come together? DEN is opened from Jan 2008. It is important to make delicious food but what is more important to me is to have a restaurant where the guests want to visit again and again, where the customers don’t need to care about the rules of how to eat Japanese food, and where they can enjoy the whole dining experience. One more thing is that for me, restaurants don’t just provide tasty food but also a place to make people happy. The first time we met, you were stopping in New York with your team to cook with Alex Atala at D.O.M. What was that experience like? Are there some influences or take aways from your time in Brazil? Alex doesn’t just make delicious food but also makes happiness for all the staff and the customers. He is so good at creating the wonderful atmosphere for everyone. I have a direct influence by him. I started to accept as many stagiaires as I can from all over the world, and I care more about the feelings of customers and the staff than before. One more influence is that I started to use ants in my salad dish. In June, San Pellegrino’s 50 Best List awarded you the title ‘One To Watch’ What was that experience like and what has the effect been on the restaurant. DEN is pretty much the same like before. I feel very happy and honored that DEN is the first Asia restaurant to be awarded “One To Watch.” It will be a great chance for people to get to know about Asia or Japan. While you were in NY for the ceremony we got to enjoy your dishes at a collaborative dinner with CONTRA – what are the challenges/highlights of bringing your cuisine to a foreign country? Firstly, I don’t know the most local and most seasonal ingredients. Secondly, the water. The water could be very different from Japan. Even The taste of the same dish I make would be totally different because of the water. I will need to change and adjust for the water there. One of the most memorable dishes for us, was Dentucky Chicken – a tebasaki chicken wing, stuffed with rice and various iterations. Arriving in a customized box, aside from being incredibly delicious, it’s playful. Can you tell us how you got the idea for this dish? I can’t speak English well, but I hope to do something for the foreign customers and wish to make them laugh and feel relaxed at DEN. KFC is well known around the world. Therefore, I think letting them see something similar to what they have already known well might be a good idea. This is the idea for DFC. It also applies to the Japanese guests. 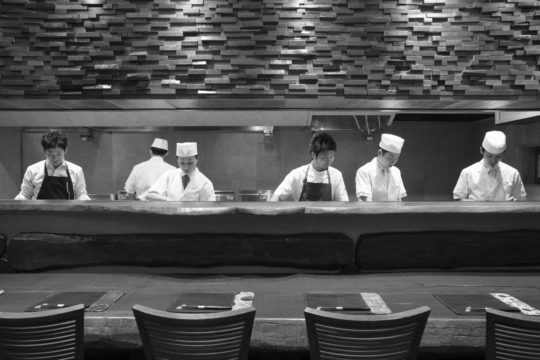 It seems like the number of women working in the kitchen at DEN is atypical for fine dining restaurants anywhere, including Japan – did you make a conscious effort to have more women on your team? If so – are there benefits from a woman heavy team and what are they? I didn’t hire women staff intentionally. After working many years with all the lady staff, I think it is good to have them in the restaurant. The mind and sense of women are pretty different from men. They have different opinions or feelings about the texture, the size of every bite, or if it is easy to eat. They can always see things from a special point of view. Here is another example, if we found some customer’s lost belongings, it is always the women who can point out right away those items’ owners. Ladies pay attention to many details that it is easily ignored by men. One more good point is as below. There are more women guests than men in DEN as well. I think only women can understand women better. 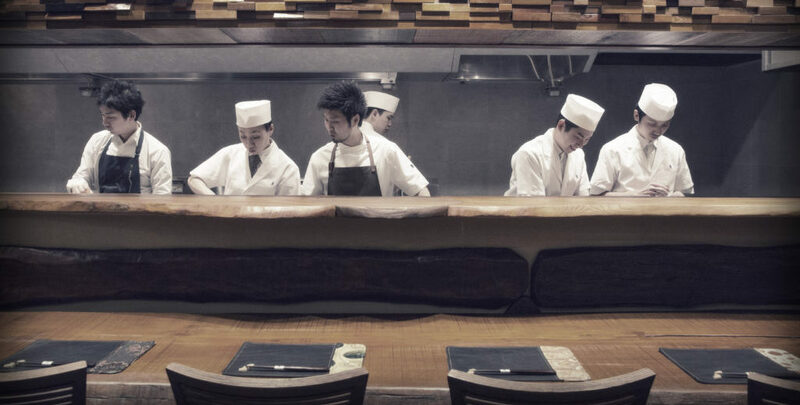 How would you describe the food scene in Tokyo currently? Despite the genre of the cuisine, all the young chefs are trying their best to challenge themselves. It’s great to see they are active in the flow of current times. I am so excited about all the local ingredients which I can only eat and cook in certain places, areas, or countries. That is why I am so excited every time when I can go to other places outside of Japan, even Tokyo. What do you like to eat on your day off? I love to eat sushi, hamburgers, and yakiniku. Is there a foreign cuisine and country that you haven’t visited yet but would like to? Any favorite restaurants in Japan and New York? In Japan: Anis and Florilege. In New York: There are many restaurants where I haven’t been yet, but if I need to choose one, that would be Roberta’s. It was where we met for the first time.